Best Cam for 302 Ford Truck Reviews: Top 4 in April 2019! List of Top-Rated Cams for 302 Ford Truck! Hello everyone, this is Ken, your online car mechanic with over 20 years’ experience pumping up cars to maximum performance. This time I am going to give you quick guide to pumping up your Ford 302 truck’s camshaft. Now camshafts are one of the best upgrades you can give your 302, only because they will deliver higher HP, torque and give you that special idle sound and feel. 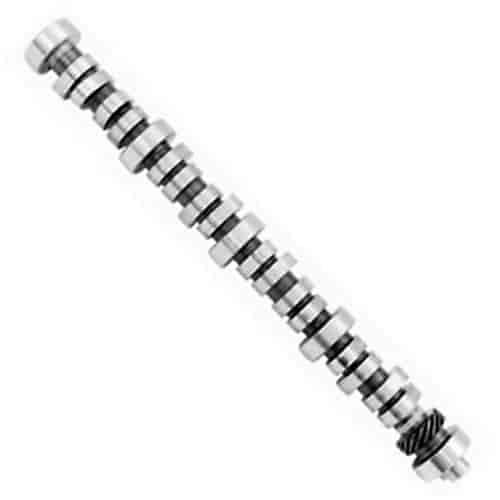 Replacing a camshaft is not rocket science, but you do need to be careful, maintain a clean workshop, and have all the relevant hardware and parts that will come together in one complete replacement. These parts include the camshaft that I will present here, but make sure you have a new cam bolt and washer, thrust plate, and lifters. You will also need a new camshaft gear, crank sprocket, and timing chain to complete the timing chain set that is essential when replacing your old or stock camshaft with a new aftermarket unit. You will also need to consider the cylinder heads for running the build, and valve springs to support the lift of your camshaft, after this you will need pushrods and roller rockers adjusted with the correct lengths. 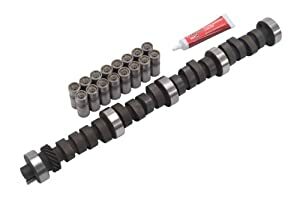 OK, now that you have been sufficiently prepped, and understand that a camshaft is the beginning of a whole new relationship with your engine. This kit includes the camshaft and lifters for the Edelbrock Total Power Package. This cam will give you 310 HP & 260 ft.-lbs. when you match it with the Edelbrock #2121 intake and #60329 heads. You should use the #5822 or #5922 valve springs. When replacing your cam system with this kit, you must only use the Edelbrock Performer-Plus Timing Chain and Gear Set #7820 (1965½72-1/2) or set #7811 (1973½90). You should not use the late model timing chain and gear sets since these are designed for emission-controlled engines and come with a retarded position. The benefit of a total replacement package is that you don’t need to figure out which parts will work best with other parts; the system has been designed to deliver maximum performance optimization. 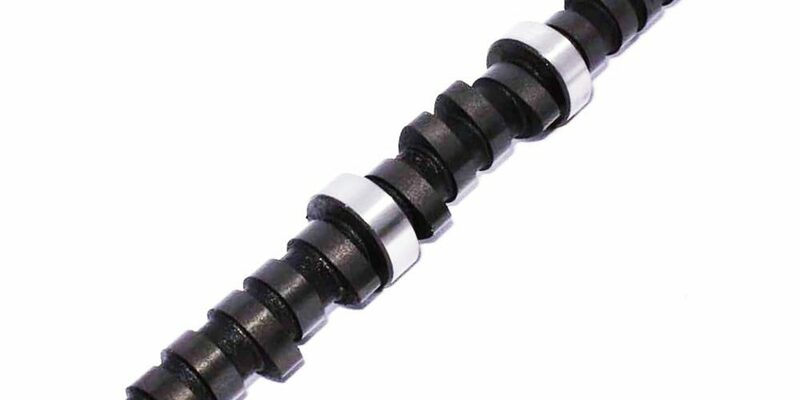 The Trick Flow® Track Max® Hydraulic Roller Camshaft part number TFS-51403001 is made of premium billet steel and is a hydraulic roller camshaft with a dyno-proven wide power curve over the entire rpm range. These camshafts are cut from blank cores and checked for hardness before being ground to exact precision tolerances. 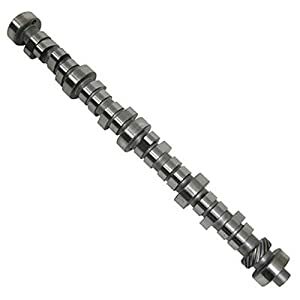 I will not get too technical, but this camshaft will give you an exhaust duration of 279, the intake/exhaust valve lift with factory rocker arm ratios are 0.499”/0.510”. The lobe separation is 112o, and this model is compatible with computer controllers. This set comes with its long and short cam gear dowels. Do not use stock springs when replacing this camshaft, and Engines with self-aligning rocker arms must use part no’s #1417-16 or #1317-16. The Ford B303 cam was developed by Ford Racing for street or strip racing performance. This means that your 5.0L Mustang will be fully optimized for powerful performance with a lumpy idle for manual transmission engines only. This unit will also work well with mass air fuel injection and carbs. When you use this kit, you will need upgraded valve springs. This means you will need the M-6513-A50 valve springs installed at 1.820″ for stock cylinder heads and for aftermarket cylinder heads use the M-6513-BH part number. The valve springs need a 120 lbs. valve seat pressure with a minimum 295 lbs. open. This unit does not work for all models, so check your model first, do not use for Explorer EEC-V EFI or speed density EFI systems, you can use it in 1994-97 351W with factory roller cam using mass air EFI. Keep your workspace and worktop clean at all times. Make sure you have the dowels that came with your camshaft. Long dowels are used for 79-85 carbureted applications, short dowels for 86-95 fuel injected applications. Tip: place the Philips head screwdriver into the front of the cam, this gives you better positioning control. Cover all your camshaft lobes and bearing contact points with assembly lube. Slide the camshaft into the engine block, make sure it is flush with the back of the block. Bolt in the camshaft thrust plate, use 120 in/lbs torque. Slide the crankshaft sprocket over the crank. Keep the notch even in the sprocket with the tooth. This is for street applications, where the cam timing is set to 0o. Place the timing chain and cam gear onto the camshaft and dowel. Use your imagination to visualize a line down the center of your engine, and make sure the timing marks are all lined up. Apply the blue Loctite on the cam bolt. Oil under the head and slide on the washer. Torque it to 45 ft./lbs. Check it all over one more time, and presto, you have installed the camshaft and timing chain.